– HANDS FREE!! 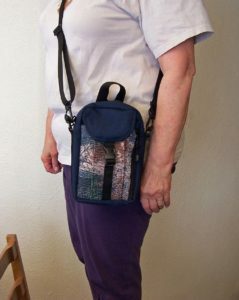 With my bag hanging onto me crossbody, I have my hands empty to pick things up, carry children, push wheel chairs, etc.) NICE!! -SECURE!! When my bag hangs onto me, I have no need to put it down somewhere and then forget where I put it. I always have it! 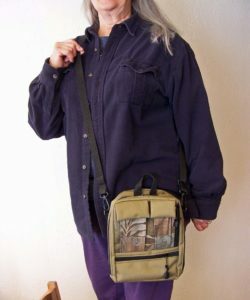 We regularaly sell our popular Tapestry Tall Plus Purse, its big sister the Tapestry Plus Tablet Purse, and its little sister, the Tapestry Tall Purse, with long crossbody straps. Yes, it’s an ADJUSTABLE STRAP! Wow!! Wonderful Cross body bags with my favorite colors. Love it.